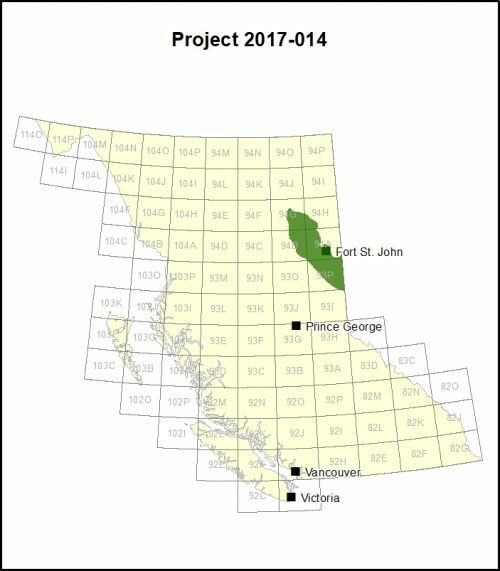 This project will map and predict the distribution of sour gas and hydrocarbon liquids in important unconventional reservoirs in parts of the Western Canadian Sedimentary Basin in northeastern BC. Sour gas is natural gas that contains measurable amounts of hydrogen sulphide (H2S). Even in small amounts, H2S can turn ‘sweet’ natural gas into ‘sour gas’ – a colorless, flammable gas that smells like rotten eggs and can be deadly if inhaled. If gas well operators intercept a patch of sour gas while extracting, producing or treating natural gas, it creates health, environmental and economic risks and hazards. This project fits with Geoscience BC’s ‘facilitating responsible natural resource development’ strategic objective. Gas analyses and isotopic data for this study will be obtained from industry partners. A major regional sulphur and hydrocarbon isotopic data set has been provided by an industry partner in the study and commitments of data from others have been made.